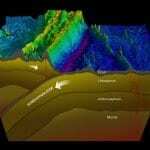 In 1977, scientists made a stunning discovery on the bottom of the Pacific Ocean: vents pouring hot, mineral-rich fluids from beneath the seafloor. They later found the vents were inhabited by previously unknown organisms that thrived in the absence of sunlight. These discoveries fundamentally changed our understanding of Earth and life on it. 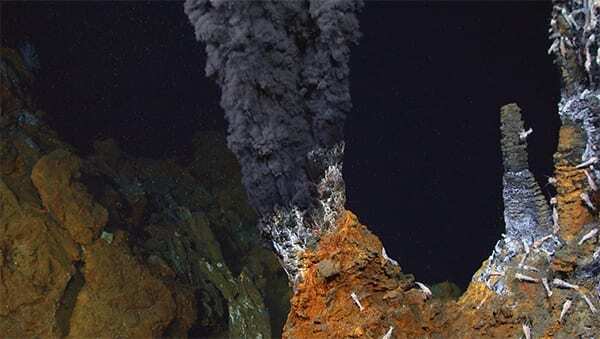 Like hot springs and geysers on land, hydrothermal vents form in volcanically active areas—often on mid-ocean ridges, where Earth’s tectonic plates are spreading apart and where magma wells up to the surface or close beneath the seafloor. 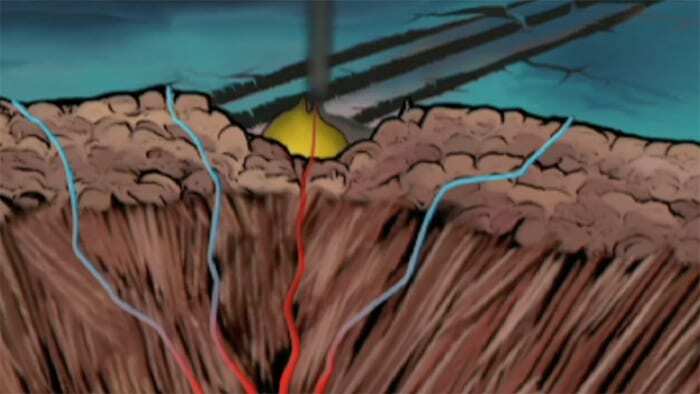 Ocean water percolates into the crust through cracks and porous rocks and is heated by underlying magma. The heat helps drive chemical reactions that remove oxygen, magnesium, sulfates and other chemicals from the water that entered the ocean through rain, rivers, and groundwater. 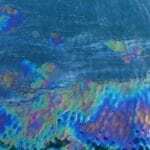 In the process, the fluids also become hotter and more acidic, causing them to leach metals such as iron, zinc, copper, lead, and cobalt from the surrounding rocks. 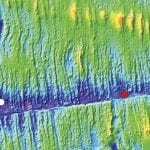 The heated fluids rise back to the surface through openings in the seafloor. Hydrothermal fluid temperatures can reach 400°C (750°F) or more, but they do not boil under the extreme pressure of the deep ocean. As they pour out of a vent, the fluids encounter cold, oxygenated seawater, causing another, more rapid series of chemical reactions to occur. Sulfur and other materials precipitate, or come out of solution, to form metal-rich towers and deposits of minerals on the seafloor. The fluids also contain chemicals that feed microbes at the base of a unique food web that survives apart from the sun. Instead of relying on photosynthesis to convert carbon dioxide into organic carbon, the bacteria use chemicals such as hydrogen sulfide to provide the energy source that drives their metabolic processes and ultimately support a wide range of other organisms such as tubeworms, shrimp, and mussels. 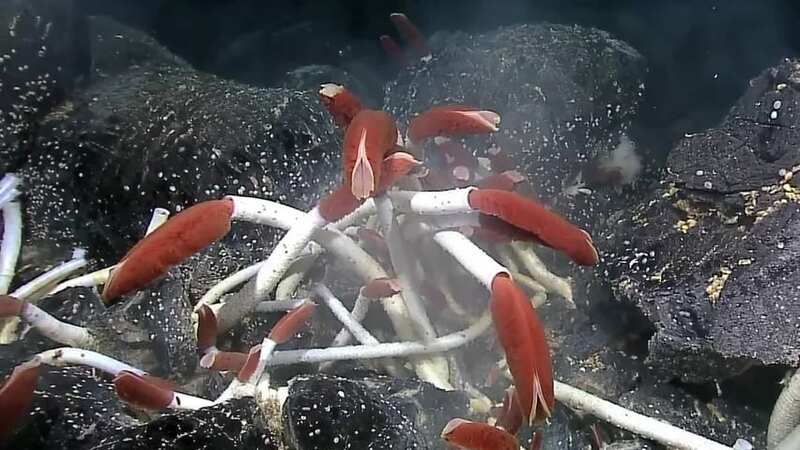 Hydrothermal vents act as natural plumbing systems that transport heat and chemicals from the interior of the Earth and that help regulate global ocean chemistry. 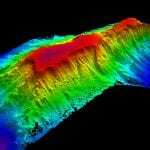 In the process, they accumulate vast amounts of potentially valuable minerals on the seafloor. The mammoth copper mines of Cyprus, for example, were formed by hydrothermal activity millions of years ago before those rocks were uplifted from the seafloor to become dry land. Commercially valuable mineral deposits are believed to exist on the seafloor near hydrothermal vents, and a few companies have had plans in development for years to exploit some of these. The difficulty of mining in deep water near fragile ecosystems and the relatively small size of ocean bottom deposits compared to those on land have so far prevented seafloor mining from becoming commercially viable. Vents also support complex ecosystems of exotic organisms that have developed unique biochemical adaptations to high temperatures and environmental conditions we would consider toxic. Learning about these organisms can teach us about the evolution of life on Earth and the possibility of life elsewhere in the solar system and the universe. Many previously unknown metabolic processes and compounds found in vent organisms could also have commercial uses one day. In 1977, WHOI scientists made a discovery that revolutionized our understanding of how and where life could exist on Earth and other planetary bodies. WHOI scientist Rob Sohn brought an arsenal of deep-sea technology normally used to explore the seafloor to the bottom of Yellowstone Lake, where a team of researchers investigated the subsurface geothermal activity hidden from view in the national park. 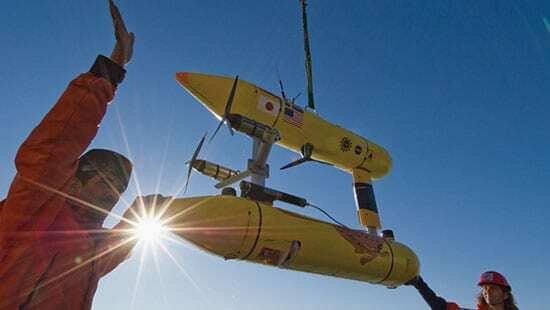 Scientists can’t really know if new oceanographic instruments will really work until they try them in actual conditions in the real ocean. In this case, the rubber hit the road at the bottom of the sea. In the winter of 2014, Expedition 15 ventured into the Pacific Ocean to examine life in some of the most extreme environments on Earth—deep-sea hydrothermal vents. 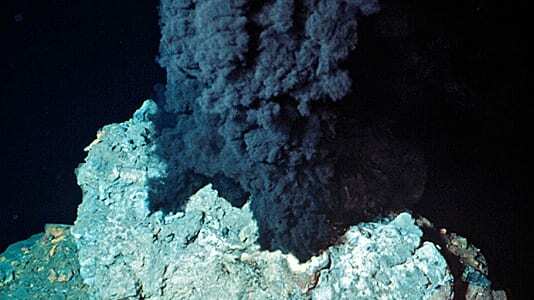 Join researchers as they study the biology, geology, and chemistry of some of the deepest hydrothermal vents on Earth. A blog following the Mullineaux Lab’s research cruises to study larvae at deep-sea hydrothermal vents. Follow researchers as they explore one of the deepest points in the Caribbean Sea, searching for life in extreme seafloor environments.